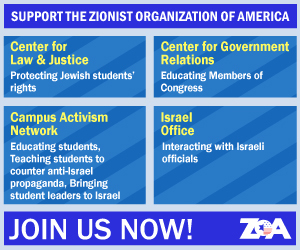 Zionist Organization of America (ZOA) President Morton A. Klein released the following statement: The Zionist Organization of America is calling upon Fox News to immediately fire commentator Geraldo Rivera for his horrendous statements on “The Five” show on Friday March 30, supporting the Second Intifada massacre of thousands of Jews and the maiming of thousands more. The Second Intifada was a five-year wave of massacres of innocent Jews by Palestinian Arabs terrorists, who bombed pizza stores full of Jewish children, blew up Passover seders and weddings full of Jewish families, bombed clubs full of Israeli teenagers and young people, shot Jewish babies in their strollers, broke into homes and murdered families sitting down for Shabbat dinner, and shot Israeli drivers and passengers in passing cars, to name a few. Fox should not continue to employ a commentator who has stated his support for the wholesale mass murder and injury of thousands of Jews, and who turns truth upside down – blaming the victims and exonerating the terrorists. Fox should not continue to employ a commentator who has stated his support for the wholesale mass murder and injury of thousands of Jews, and who turns truth upside down – blaming the victims and exonerating the terrorists. Geraldo also compounded the problem by trying to excuse Palestinian Arab terrorism, by falsely claiming that the problem is so-called “occupation” and “oppression” of Palestinian Arabs, and the lack of a Palestinian state. Geraldo neglected to mention that Yasser Arafat instigated the Second Intifada after rejecting a generous offer of a Palestinian state – because Arafat’s real goal – and the goal of Hamas and the PA today – is Israel’s complete destruction and the murder of every Jew. Geraldo also added further injury by misleadingly stating: “And now you said there were 14, 15 people killed in Gaza. Palestinians killed by the IDF forces.” Geraldo’s statement thus falsely blamed the IDF – and utterly failed to mention that at least 11 of the persons killed were definitively identified as known Hamas and Fatah terrorists – and that the shootings were completely defensive to stop 40,000 Hamas-paid and accompanied rioters, who were screaming for the murder of Jews and shooting and throwing Molotov cocktails, from storming into Israel to carry out their threats. Geraldo’s completely distorted depiction of what is occurring in Gaza is unfit for a news organization such as Fox, which claims to be fair and balanced. Geraldo must be fired. We know from other exchanges that at least most of the co-hosts on The Five (Kimberly Guilfoyle, Juan Williams, Dana Perino, Greg Gutfeld and Jesse Watters) support Israel and the right of Jews to live free from terror attacks, and that these co-hosts disagree with Geraldo. Unfortunately, none of the co-hosts had the presence of mind last Friday to correct or challenge Geraldo’s support for the murder of Jews and distortions regarding Gaza. We urge The Five’s co-hosts to correct the record promptly. 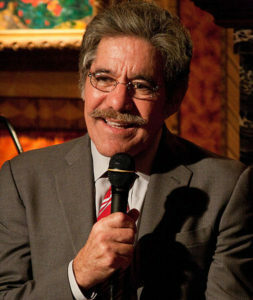 Action Alert: Contact Fox News to demand that Geraldo must be fired!